New puppies require many things. They require good nutritional food to help them grow healthy and strong. They require lots of toys to keep them busy and engaged, and not chewing on your furniture. They require lots of love and attention from their new family and they require new puppy training. What is new puppy training? It’s the foundation for the rest of your life with your dog and it is essential. What Does New Puppy Training Entail? New puppy training encompasses many steps. The first step of new puppy training is more about you, the owner than the puppy. Your first step is to decide your approach – positive reinforcement is the most successful. You’ll also need to decide what your home rules are going to be. For example, can your dog sit on the couch? Where are they going to go to the bathroom? New puppy training also encompasses socialization. Socialization is important because it teaches your puppy to be comfortable in any situation. 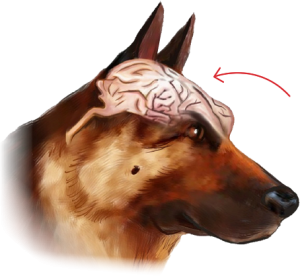 Often, if a dog isn’t properly socialized they can become quite aggressive or the opposite can happen and they can become extremely fearful. Neither is productive or good for you or your dog. Once your puppy has their shots, you can begin the socialization process. New puppy training includes housebreaking. 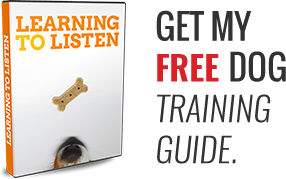 In fact, when people think about new puppy training this is often the very first item on their list. It’s important to adjust your expectations to your puppy’s age. Very young puppies are simply incapable of holding their bladder – when they have to go, they go. This means, if you have a very young puppy, that housebreaking will depend largely on your ability to take them outside often and to learn their behavior cues. Once their bladder reaches maturity, usually between 9 and 11 weeks, then they’ll be able to hold their bladder a bit more and you can move into the second phase of housebreaking and new puppy training. New puppy training also involves teaching your puppy that you’re the one in charge. 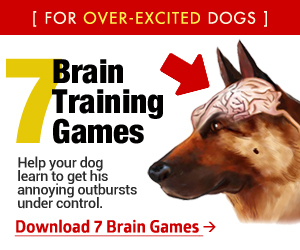 Fortunately, this doesn’t need to involve alpha dog role playing. There’s no need to hit or yell. Instead, set the rules of the household, create a schedule, and praise and reward your puppy for a job well done. By creating a consistent schedule and rules to follow, and by positioning yourself as the boss, you’ll ultimately teach your new puppy that you’re the leader of the pack. One of the best ways to learn not only what you want to teach your new puppy but also how to teach them is to find a mentor, a trainer or if you’re really serious about training your new puppy then a guide. A trainer is good for helping you set the foundation for your puppy and to learn training skills, however a puppy training guide will take you beyond this initial step and help you through all facets of new puppy training and take you into the advanced training steps for dogs. Look for new puppy training information from experts who practice positive reinforcement and who cover all of the new puppy topics discussed today including, housebreaking, socialization, chewing, barking, begging, and jumping on guests and so on. Bringing a new puppy into your home is a wonderful adventure. To ensure you and your new puppy start off on the right foot and life a long and happy life together, invest your time and energy into a well planned new puppy training program.